We are proud to offer a wide variety of services at our hair treatment salon in Woodbury, MN. At Trendi Salon and Spa your haircut is done Aveda style, starting with a professional consultation, followed by an aromatherapy ‘Moment of wellness’: relaxing stress-relieving scalp massage, Aveda shampoo and conditioner to suit your hair type, warm towel, a cut that flatters your face shape, and a complimentary blowout. For men; eyebrow, beard, or moustache trims are included at your request, and ladies we will even touch up your makeup by request using Aveda’s botanical cosmetic collection. 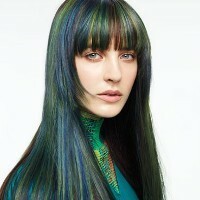 Trendi Salon and Spa uses Aveda Full Spectrum Hair Color. It is the only 97% naturally derived coloring system infused with a blend of plant oils including sunflower, castor and jojoba to protect and deliver incredible shine, condition and coverage. 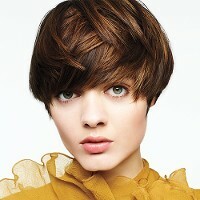 Aveda’s Full Spectrum Deposits-Only Color treatment is 99% naturally derived. It delivers rich color that lasts up to eight weeks. This treatment formula actually improves the condition of damaged hair. Our technicians will get you to the color that you desire, even if you need a corrective color we’ve got you covered. Breaking the base is a term that is used when you are blending the roots of the hair that are left after a highlight OR foil. Essentially you are 'breaking up' the darker color and softening the line of demarcation. You will most often break the base at the shampoo bowl after your foils are removed, using a shade one to two levels lighter than your natural hair color. *Additional charges may apply depending on your hair's length and density. Balayage is applied with an artistic placement to complement your natural hair growth patterns. It is finished off with a toner or glossing service to add shine. Your stylist will formulate the perfect treatment for your hair concerns. Improves dry hair up to 86% with the power of buriti and pomegranate oils, leaving strands soft, silky and shiny. Improves damaged hair up to 84% with the power of quinoa protein and sugar beet derived amino acid, leaving strands strong, supple and healthy-looking. This is a unique service that was created to give you a healthier scalp and beautiful hair. It's like a facial for your scalp! Featuring the new Pramasana product line, this service will stimulate, cleanse and balance your scalp while leaving your hair beautifully soft and shiny. This treatment mends split ends by filling in and binding broken hair fibers together. It also protects against future breakage by surrounding each strand with a protective coating defending against daily styling. This treatment typically lasts up to 30 washes. The Brazilian Blowout Treatment is a life-changing treatment that creates a protective protein layer around the hair shaft to eliminate frizz and smooth the cuticle. This is NOT a straightening treatment- you will still have some of your wave or curl (if you have it) but it will be slightly relaxed, smoother, shinier, and more manageable. This treatment lasts up to 12 weeks, with no down time. You can put your hair in up, curl it, and get it wet immediately! *Due to the amount of time required to perform Balayage, Ombre, or Brazilian Blowout, we require a deposit of $75.00 to hold the appointment. The deposit will be applied towards your service. If you need to move your appointment, please notify us 24 hours in advance to avoid losing your deposit.